The year is off to a great start in Columbia, with lots of activities. We have shows, concerts, 5K Races, and so much more to keep you and your family entertained. Check out the many events planned around the area over the next 2 weeks. Through January 31 – “Nice Work If You Can Get It” at the Town Theatre. Go back in time to the roaring ‘20s when a charming boy comes face to face with a female bootlegger on the eve of his wedding, when she and her clan, having intended to steal the cases of alcohol in the basement, find themselves having to act like servants when the married couple arrives home unexpectedly. For more information call (803) 799-2510 or visit http://towntheatre.com/nice-work-3/. 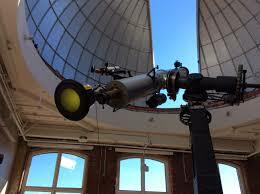 Through May – Solar Observing at the South Carolina State Museum. Take a look a close-up look at the sun through the solar telescope. 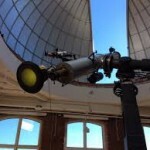 For more information call (803) 898-4921 or visit http://scmuseum.org/calendar/solar-observing-in-the-boeing-observatory/. January 28 – “Adelitas Way”, “Failure Anthem”, “Through Fire”, and “Eyeonattraction” at the Music Farm. Enjoy an evening of rock and roll with these four bands. For more information visit http://www.musicfarm.com/event/1043075-adelitas-way-columbia/. January 28 – “Colla Vuce” Presents an Evening of Sacred Jewish Music at the Trinity Episcopal Cathedral. This will be a very special evening of music you won’t soon forget. For more information call (803) 787-2023 or visit http://www.trinitysc.org/about/calendar/. January 29 – “Chamber Music on Main” at the Columbia Museum of Art. Set in the beautiful DuBose Poston Reception Hall, your evening will be filled with music led by world renowned artistic director Edward Aaron. For more information call (803) 799-2810 or visit http://www.columbiamuseum.org/happenings/chamber-music-main-2. January 29 – 30 – “Aladdin” at the Koger Center for the Arts. With the stage set in Persia for this ballet, Aladdin on his flying carpet will bring you the gift of magic. For more information call (803) 799-7605 or visit http://columbiacityballet.com/production/aladdin/. January 29 – February 13 – “Appropriate” at the Trustus Theater. Winner of the 2014-2015 Obie Award for Best American Play, playwright Brandon Jacob-Jenkins has put together a story sure to captivate you. For more information call (803) 254-9732 or visit https://trustus.org/page/home. January 29 – February 14 – “Dr. Doolittle Jr.” at the Village Square Theatre. Find yourself wrapped up in the story of the man who talks to the animals on his quest to find the Great Pink Sea Snail. For more information call (803) 359-1436 or visit http://www.villagesquaretheatre.com/. January 30 – Robert Burns Dinner at Seawell’s on Rosewood Drive. This is an evening of celebrating Scottish heritage with lots of Scottish music, a parade of tartans, a silent auction, and a special performance by the Palmetto Pipes and Drums. For more information call (803) 798-2206 or visit http://rbsm.org/. January 30 – Auntie Karen Day at the Columbia Museum of Art. This is the 12th Auntie Karen celebration of African-American history, with the day being filled with local performers and artists. For more information call (803) 799-2810 or visit http://www.columbiamuseum.org/happenings/auntie-karen-day. January 30 – Running with the Saints 5K at St. Joseph’s Catholic School. Enjoy a run through the downtown Shandon area. For more information call (803) 608-6161 or visit http://media.wix.com/ugd/8031f7_7a6a0f02f86a49e595cc891e53abcc9a.pdf. January 30 – FROST Winter Gala at the EdVenture Childrens Museum. Enjoy an evening of snowflakes, chilled cocktails, and exquisite cuisine all to benefit educational programming for underserved children in the area. For more information call (803) 400-1152 or visit http://www.edventurefrost.com/. February 2 – “Dance Theatre of Harlem” at the Koger Center for the Arts. Enjoy an evening of fabulous dancing by this troupe founded by the first African American dancer in the New York City Ballet, Arthur Mitchell. For more information call (803) 777-7500 or visit http://www.kogercenterforthearts.com/event.php?id=132. February 3 – “Shaping Sound: Dance Reimagined” at the Koger Center for the Arts. So You Think You Can Dance Choreographer Travis Wall with Nick Lazzarini, Teddy Forance, and Kyle Robinson, some of the best dancers in America, came together to create this fabulous contemporary dance event. For more information call (803) 777-7500 or visit http://www.kogercenterforthearts.com/event.php?id=177. February 4 – “A Village and Then Some” at the Tapps Art Center. Try the exquisite and delectable tastes of Africa without ever leaving Columbia. For more information call (803) 988-0013 or visit http://www.tappsartscenter.com/event/a-village-and-then-some-at-first-thursday/. February 5 – Arts & Draughts at the Columbia Museum of Art. Enjoy beer tasting, live entertainment, D.I.Y. art projects, interactive art, scavenger hunts, and more. For more information call (803) 799-2810 or visit http://www.columbiamuseum.org/arts-draughts-february-2016. February 5 – Family on Safar – Overnight: Valentines Event at the Riverbanks Zoo and Gardens. Surprise your child for Valentine’s Day with this overnight event that includes dinner, snacks, and breakfast. For more information call (803) 779-8717 or visit https://www.riverbanks.org/calendar.shtml. February 5 – 6 – Monster Jam at the Colonial Life Arena. See the Grave Digger, Carolina Crusher, Higher Education and more at this year’s event. For more information call (803) 576-9200 or visit http://www.coloniallifearena.com/monster-jam.php?eventid=99&showtimeid=149. February 6 – MCG Long Run in downtown Columbia. Event includes a 15k run, a 15k relay, a 5k walk/run, a kids fun run, and a family-friendly party afterwards. For more information call (803) 227-2286 or visit https://www.facebook.com/MGCLongRun/. February 6 – The Junior League of Columbia’s Clean Sweep at the Cantey Building on the State Fairgrounds. This is a huge rummage sale you won’t want to miss. For more information visit https://www.jlcolumbia.org/?nd=clean_sweep. February 6 – “South Carolina Philharmonic: All That Jazz” at the Koger Center for the Arts. Event includes pianist Phillip Bush and clarinetist Joseph Eller. For more information call (803) 777-5112 or visit http://www.kogercenterforthearts.com/event.php?id=80. February 6 – 7 – Repticon at the Jamil Shrine Temple. For those who enjoy the more exotic animals, you will find a variety of reptiles and amphibians, sugar gliders, rabbits, and more, as well as supplies to keep and care for your exotic pet. For more information call (863) 268-4073 or visit http://repticon.com/columbia.html. February 6 – 7 – Black History Parade and Gospel Festival at the Martin Luther King Jr. Park in Five Points. The event will start with the parade at Harden Street and Gervais Street and then move to the Park where you will find Contemporary History Makers, live entertainment to include national recording artist Joshua Rogers, and much more. For more information call (803) 361-5470 or visit http://www.fundsinc1.org/1.html. February 8 – “Night of Laughter Featuring Mike Goodwin: Columbia’s BowTie Comedian” at the Trustus Theatre. Enjoy an evening of laughter, while enjoying heavy hors d’ oeuvres and cocktails, all to benefit AMIkids. For more information call (803) 254-9732 or visit https://www.facebook.com/photo.php?fbid=943777056488&set=gm.1542040582776030&type=3&theater. February 11 – Hearts and Hands Gala at 701 Whaley Street. Enjoy an evening of good food, fun entertainment and a live auction, all to benefit the Family Shelter. For more information call (803) 771-7040 or visit http://familysheltersc.org/events.html. February 12 – “R. Kelly” at the Colonial Life Arena. Come out and listen to this famous R&B legend who is one of the greatest artists of all time. For more information call (803) 576-9200 or visit http://www.coloniallifearena.com/r-kelly.php?eventid=112&showtimeid=178. February 13 – Cupid’s Chase 5k at Maxcy Gregg Park. Runners, walkers, and rollers welcome to help raise fund for the disabled in the area. For more information visit http://imatter.comop.org/site/TR?fr_id=1265&pg=entry. February 13 – Mardi Gras Gala at the Double Tree by Hilton on Bush River Road. The evening will be filled with cocktails, heavy hors d’ oeuvres, a live and silent auction, a photo booth, and more all to benefit the Dickerson Children’s Advocacy Center. For more information call (803) 791-1511 or visit http://www.dickersoncac.org/events/. February 13 – “Roman Holiday” at the Harbison Theatre on the Irmo campus of Midlands Technical College. Enjoy watching this classic movie starting Audrey Hepburn and Gregory Peck. For more information call (803) 407-5011 or visit http://www.harbisontheatre.org/tickets-productions/valentines-cinema-roman-holiday. February 13 – Chinese New Year Gala at the South Carolina State Museum. Enjoy dinner, dancing, and a silent auction all to benefit East Point Academy. For more information call (803) 926-0520 or visit https://portal11.bidpal.net/Portal/bpe297467/main/home.html;jsessionid=46263AF4A1070B16D67A31C8D85A9C99. February 13 – 14 – “Widespread Panic” at the Township Auditorium. Spend an evening enjoying the music of this fun and entertaining rock band. For more information call (803) 576-2350 or visit http://www.thetownship.org/.